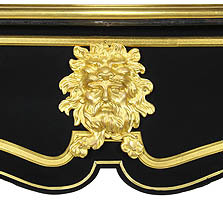 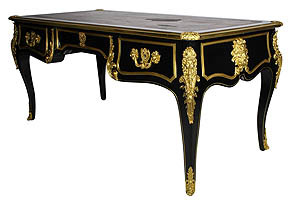 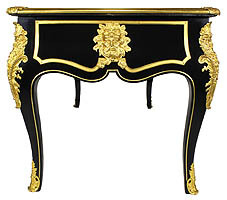 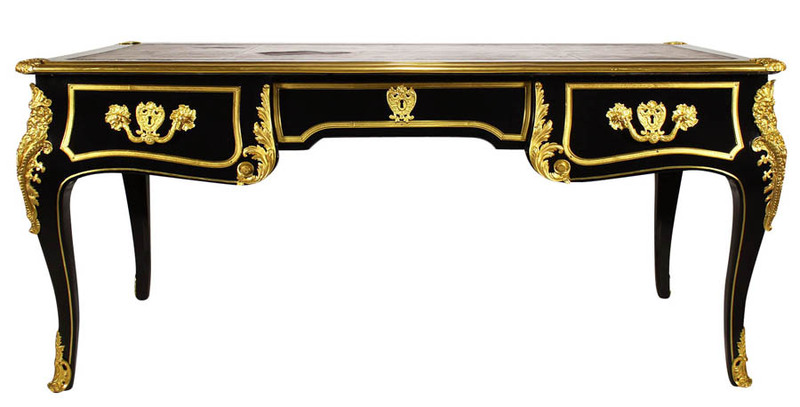 A Fine French 19th Century Louis XV Style Ebonized Wood and Gilt-Bronze Mounted Figural Bureau Plat (Desk) with three drawers and leather top. 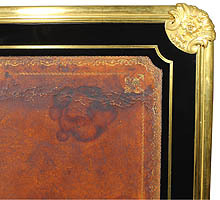 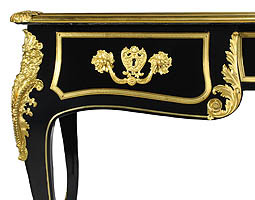 The shaped rectangular top enclosing a gilt tooled leather writing surface (worn) within a molded border above a long central drawer enclosing a fine modeled allegorical escutcheons flanked by two short drawers with floral handles with the same escutcheons and flanked by floral rosettes, raised on elegant cabriole legs with inlaid brass trims, surmounted on all four corners by bearded satyr masks ending in acanthus case and sabot feet. 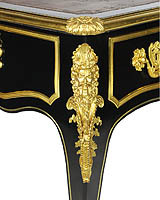 The sides centered with a mask of Hercules wearing the Nemean lion pelt. 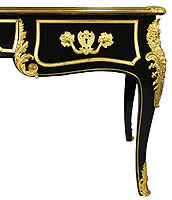 Circa: Paris, 1880.